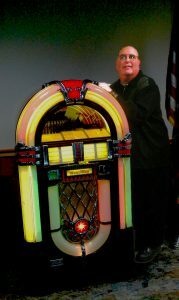 Ken Kojak has been a DJ/MC-Host of several Oldies Shows since 2000. 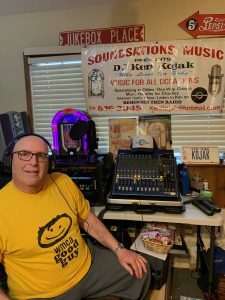 Ken primarily raises monies for charitable organizations including Ronald McDonald House of LI, Good Shepherd Hospice, Make-A-Wish Foundation, Knights of Pythias, Knights of Columbus, The Gene Pitney Commemorative Committee and many others. Ken was also a guest DJ with the late Jay Thomas on New York’s Jammin’ 105 and had a 50’s/60’s program on Westchester NY station WRTN 93.5. Ken has worked with recording artists Larry Chance & The Earls, The Chantels, The Teenagers, The Cadillacs, Barbara Harris and The Toys, The Jive Five, The Happenings, Kenny Vance and The Planotones, Randy & The Rainbows, The Fireflies, and many others. I am very proud to work with Don K Reed who has supported me since 2005 raising monies for charitable organizations. It is a privilege for me to be associated with Steve Soskin and Barbara Cornagie and the distinguished DJs of the Remember Then Radio family.